Order online 24 hours a day, 7 days a week. Simply create a user account, and supply a username and password. If you haven't done so, please register here. 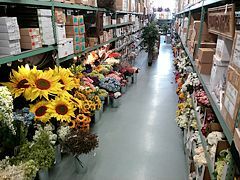 We sell to retail florist, floral designers, event planners and many other professionals related to the floral industry. All orders take 24 hours to process and are available for shipping on the next business day, based on FedEx/Carbone's delivery schedule. Please visit "Shipping & Delivery" for more info. If there's a delay with your order, you'll be contacted by email. Orders are not processed on Saturday or Sunday. We have no minimum amount for orders. 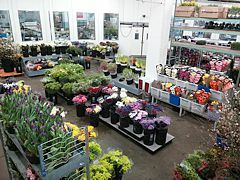 Flower and plant price sheets are also available online, but take up to 72 hours for accounts to be setup. The username and password created during registration, will also allow you to access the latest flower and plant price lists. 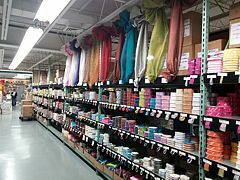 We accept all major credit cards including Visa, MasterCard, American Express and Discover, and process all orders in real time. Once the charge has been approved, you'll receive an email confirmation and a copy of your order. To read more about our secure online order system click here. Established accounts can apply for credit terms and C.O.D. 's through our Carbone fleet delivery or Fedex..